Valdaro Lovers Eternal Embrace Love Forever. Ever wonder if caveman and women mated for love? That question is unanswered. 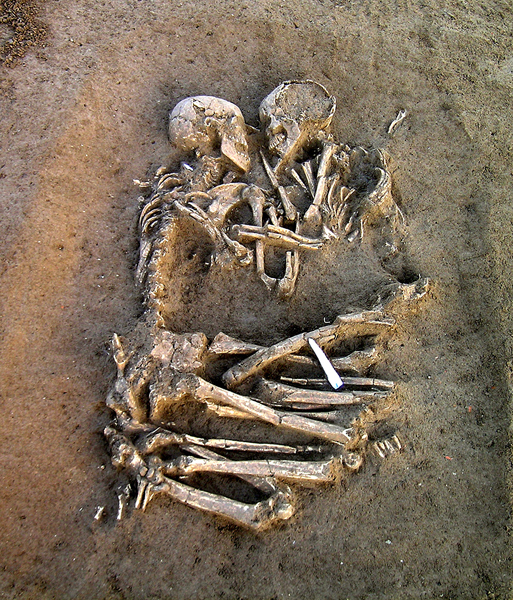 The recent discovery in Mantua, Italy revealed the remains of a man and woman buried in loving embraces. Their teeth were intact archaeologists determine that the couple were young. Also, the remains are 4,000 to 5,000 years old during the Neolithic Period or New Stone Age. The Neolithic Period ushered in agriculture and cruel stable living conditions. Base on the archaeological discovery the period is the first known discovery of lovers, facing with limbs intertwined in an “eternal embrace.” Valdaro Lovers named after the nearby village. Primitive love and happiness. Movies show a different version of the cavemen and women. 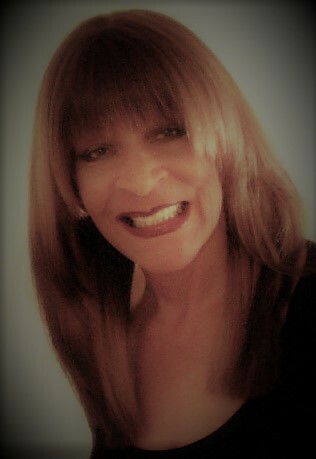 The alpha men clubbed his woman of choice in the head and dragged her into his cave. Once in the cave, the caveman could have his way with the female. Scientific studies claim Cavemen and women were monogamous. Paleolithic era causes of death were childbirth, animal threats, and infections. Encyclopedia Britannica 1961 estimated that Upper Paleolithic life expectancy was 33 years old. The Paleolithic period is pre-agriculture.There was no farming. They were the nomadic hunter and gathers. Mating was advantageous for both the man and woman. The period after the Paleolithic period is the Neolithic period. Men planted food, pottery was invented and had controlled fire invented for warmth and cooking. In the Neolithic period, a man became stationary. They could grow their own food. Large families increased the family’s productivity. Men provided food, protection, and shelter for women and children. Movies claim no high romance. Mating based practical survival and respect. The discovery in Mantua, Italy disclaims this theory. Young lovers in loving embraces. Valdaro Lovers, Italy. Eternal Embrace Love Forever. This amazing discovery is approximately 4,000 to 5,000 years old.